Vingroup Joint Stock Company is the largest real estate firm in Vietnam and deals in a broad range of properties including golf courses, shopping malls, hospitals, resorts, schools, and others. The company also joined the retail sector by launching retail chains of supermarkets called Vinmart and Vinmart+. By 2018, Vingroup had total revenue of $5.3 billion, total equity of $2.2 billion, total assets worth $12.4 billion. The Joint Stock Commercial Bank for Foreign Trade of Vietnam or Vietcombank is the biggest bank in Vietnam by market cap. It is among the three companies in Vietnam listed in the Forbes Global 2000. Vietcombank is also among the top 300 largest finance and banking companies in the world. 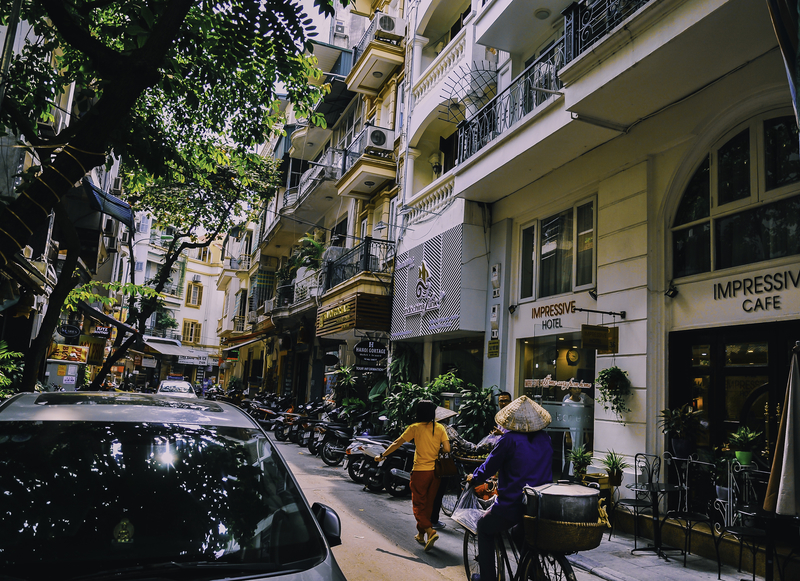 In 2018, Vietcombank total assets were valued at $46.2 billion, and profits before taxes stood at $794.7 million. Vinamilk is the most prominent dairy firm in Vietnam. It’s even listed on the Forbes Global 2000 Ranking of the world’s largest and most powerful companies. The company is also the first company in Vietnam to be listed in Forbes Fabulous Asia’s 50 companies. Since its founding in 1976, Vinamilk has increased its distribution chains and production size. The company now covers over 40 countries and has created over $2 billion in revenue annually. Petrovietnam Gas JSC or PV Gas is the largest natural gas firm in Vietnam. The company controls about 70% of the domestic market share. In 2018, PV Gas’ revenue was $3.2 billion and profit before taxes was $668.5 million. The Saigon Beer Alcohol Beverage Corp. is the largest brewery in Vietnam and the creator of the popular beer Sai Gon. The company has a domestic share of more than 40%. Sabeco is among the first state-owned companies set to be privatized. The government of Vietnam currently holds about 90% of the company but is preparing to withdraw its capital entirely from the company. The Joint Stock Commercial Bank for Investment and Development of Vietnam) or BIDV was awarded the best retail bank in Vietnam by Asian Banker Magazine. BIDV is also listed in the Forbes Global 2000 along with Vietinbank, Vinamilk, and Vietcombank. The bank is also among the best divident stocks in the country. In 2018, the company’s total asset reached $18.8 billion, and also reached $414 million in profits before taxes. In 2018, the company announced $735 million in revenue and $225 million in profit before tax. Vietnam Joint Stock Commercial Bank for Industry and Trade or Vietinbank is among the largest banks in Vietnam. The bank is also ranked in the top 100 banks in the Association of Southeast Asian Nations. Vietinbank total assets reached $50.1billion and profits before taxes was $292.8 million in 2018. Vietnam National Petroleum Corporation is the leading petroleum products distributor in Vietnam. It controls about 50% of the domestic market share with more than 3,000 agencies and 2,500 retail stores. In 2018, Petrolimex supplied more than 12 million tonnes of petroleum products. Its revenue reached 8.3 billion. Hoa Phat Group Joint Stock Company is a leading private sector industrial manufacturer in Vietnam. The company engages in the production, sale, import, and export of steel and iron. In 2018, the company reached $2.4 billion in total revenues and $3.7 billion in profit before taxes.